Welcome to our web site. This is some of the things that we have been up to in our lives. Simply click on the year for more exciting pictures. Enjoy ! Gai has just published a book " Collits Inn - Past and Present". This book is a photographic history of the Inn from it's early days through to the restoration and beyond. 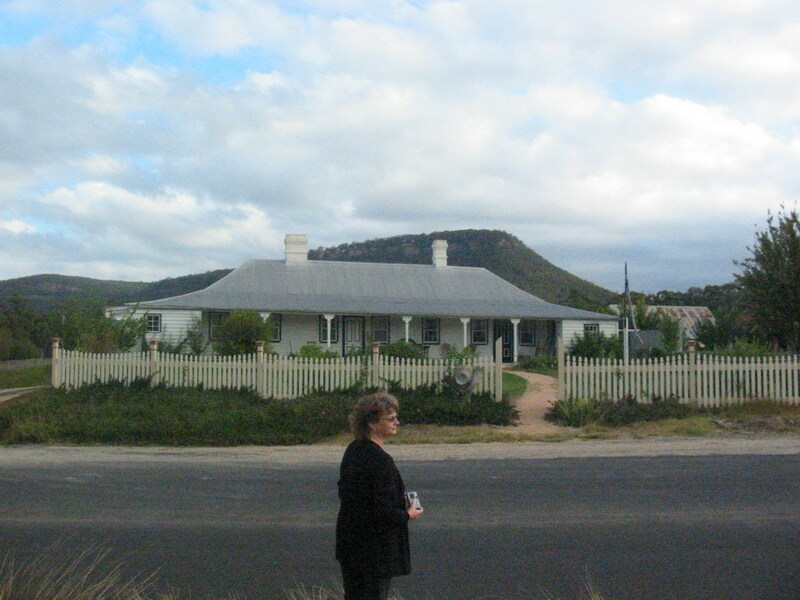 As a Collits descendant,(from the John and James side), Gai has visited the Inn many times from the 1970's to 2005. The book also contains a short history of Pierce and Mary and also some history and photographs of the Collits Inn Play. 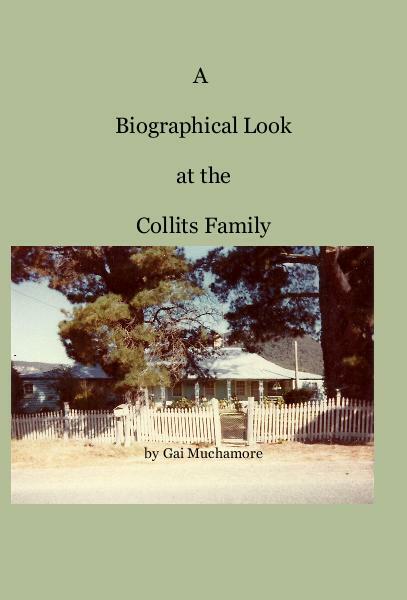 Also available is a reprint of " A Biographical Look at the Collits Family"
This book was originally compiled by Gai in 1988 and contains short stories written by Collits descendants about their ancestors. The book was compiled for our 1st reunion. 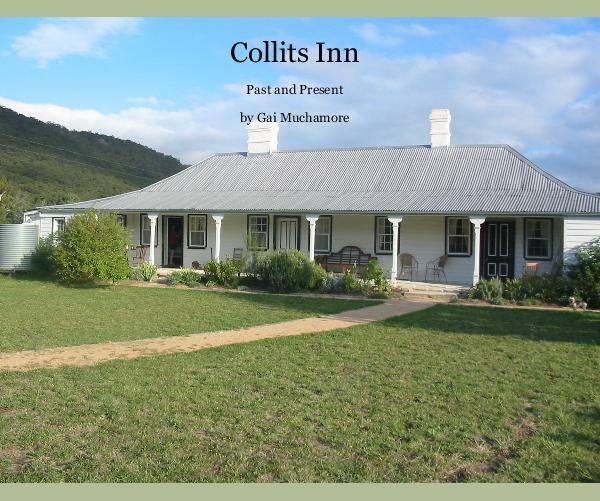 If you would like to purchase a copy of either "Collits Inn -Past and Present" or " A Biographical Look at the Collits Family" this can be done by emailing Gai direct at gmmuchamore@gmail.com . Books are now back in stock. Photo on the right of nan was taken at the Tudor Rose. This is a great restaurant near where we live and also the place where we had our wedding reception in 2005. We often go here for meals and special occasions. Gai has done many years research about the The Collits Family and from here you can view articles she has written. Read about James Collits,John Collits, the missing Sophia Jane Collits and also read about the Collits Inn play that was performed originally in Sydney in the early 1930's -The Collits Inn Play. Photo on the left is of Collits Inn where we stayed in April 2005. It has also won many awards for it's restaurant as we would recommend this place to anyone. The Inn is now in private hands and open for Wedding Ceremonies. Dad did many years researching geneology and assisted many people over time all around the world. Not only did he do the Muchamore study but also A One name study of M*CH*MORE. Photo on the right is dad at his 70th birthday. This was the first time in many years that us 'kids' had all been back together in the same place for many a year as we now live all over the country.